This biennial publication aims to inform policy makers and analysts on recent and future changes in global science, technology and innovation (STI) patterns and their potential implications on and for national and international STI policies. 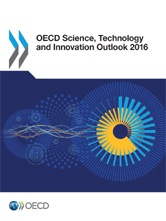 Based on the most recent data available, the report provides comparative analysis of new policies and instruments being used in OECD countries and a number of major emerging economies (including Brazil, China, India, Indonesia, the Russian Federation and South Africa) to boost the contribution of science and innovation to growth and to global and social challenges. 3.1. What resources will be dedicated to public research? 3.2. Who will fund public research? 3.3. What public research will be performed and why? 3.4. Who will perform public research? 3.5. How will public research be performed? 3.6. What will public research careers look like? 3.7. What outputs and impacts will be expected of public research? 3.8. What will public research policy and governance look like?